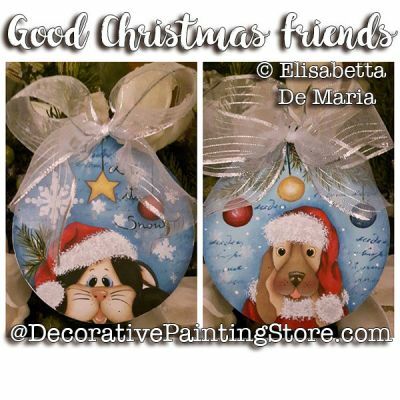 Christmas ornaments with kitty cat and puppy dog painted on flat ornament shapes. Drawings included for 6-1/2" diameter and 5" diameter. Pattern includes photos, instructions in both English and Italian, line drawing.